We metaled at the first North American Roasters Competition known as the Golden Bean. 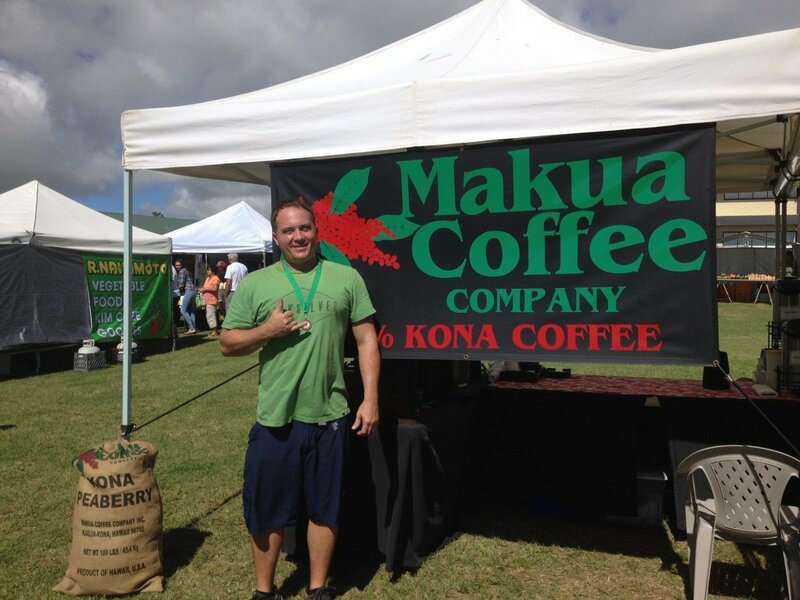 Attached is a picture of my husband the roaster Dylan Aurway with his bronze medal for our 100% Kona Medium roast. 200 roasters entered the competition and only three roasters from Hawaii metaled, Makua Coffee and two other somewhat larger companies that have Q cuppers on hand and big money backing, so for a two person, small operation we did pretty good!